Our School Uniform is available to order from our suppliers Emblematic. 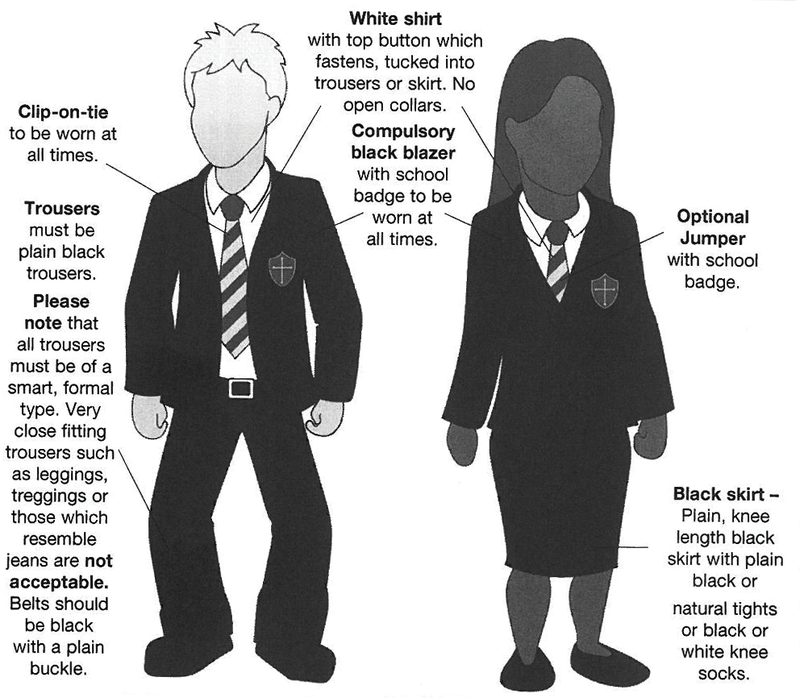 Our uniform is not available direct from school with the exception of school ties. No Jewellery to be worn except for a wrist watch (no"smartwatches"). and with a heel of 5cm or less. Both boys and girls have the same PE/Dance kit. Long hair must be tied back with a plain black hair bobble. worn to keep hair of the face. Dark socks must be worn except for PE. No high heeled shoes, plimsolls, Flossles or Ugg Boots. Compulsory short sleeve sports shirt. Black sports shorts or capri pants. Fashion accessories are not acceptable. Years 9, 10 and 11- natural makeup only. - No nail varnish Ankle high boots are acceptable provided these are kept under trousers. Optional black hoodie. - for outdoor use. Trainers - for PE only.